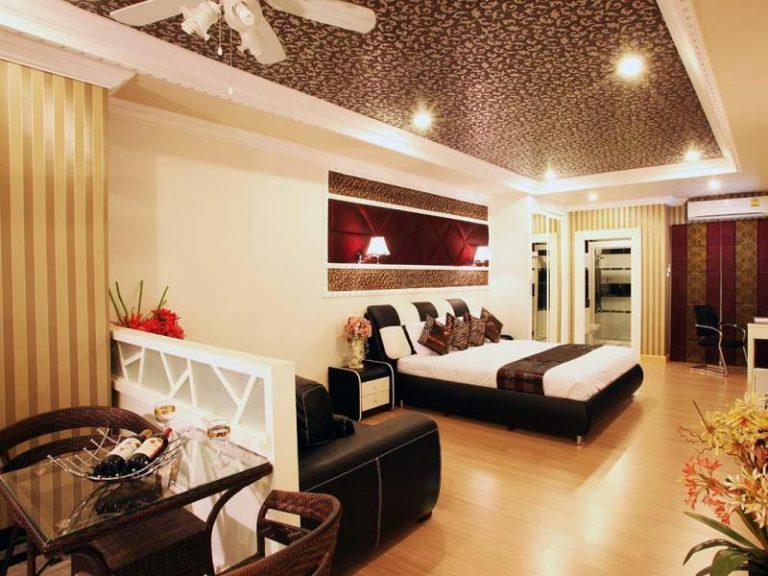 Choosing the right hotel is an important part of making your holiday in Pattaya enjoyable. 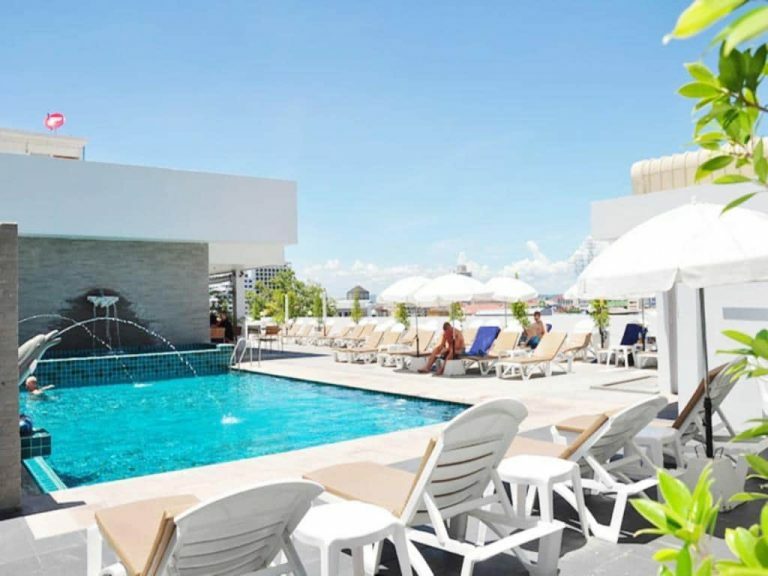 It’s not just about finding a hotel in a good location or in the right price range, those are important, but you also need to make sure your Pattaya hotel is ladyboy friendly. While a large majority of the hotels are accepting of ladyboys, some of them will charge a joiner fee to allow them in. 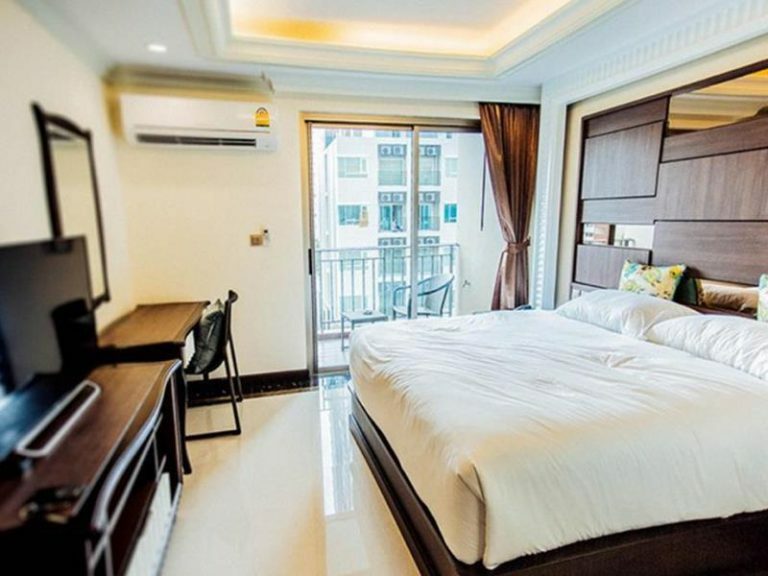 Not choosing a ladyboy friendly hotel in Pattaya could mean spending your nights alone or ending up with a big unexpected bill at the end of your stay. Being a ladyboy friendly hotel simply means that the hotel allows ladyboys to stay as an unregistered guest at the hotel and does not charge an additional fee, known as a joiner fee. While some hotels will allow ladyboys in as guest they may charge a joiner fee of 500 – 1500 THB, sometimes more, per guest, per night. The hotels on this don’t charge a joiner fee. 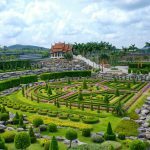 While all the hotels on this list are ladyboy friendly and have no joiner fee at time of writing, please note that hotels can change their policies at any time. While this is unlikely to happen, if you have any concerns you should email the hotel directly and inquire about their current policies. If you find any of these Pattaya hotels are no longer ladyboy friendly, please let us know and we’ll update the list accordingly. Because prices of hotels can change often, even day to day and certainly depending on the seasons, we decided to not list hotel room prices, but to put them into broader groups to give you an idea of the price range the accommodation falls in. Current prices can be checked by clicking the link. The hotels in list are organized by area. If you have never been to Pattaya before, Central Pattaya is the area you should check out. It puts you in a good proximity to most of the ladyboy bars and there is a big selection of hotels, restaurants, and shopping to choose from. 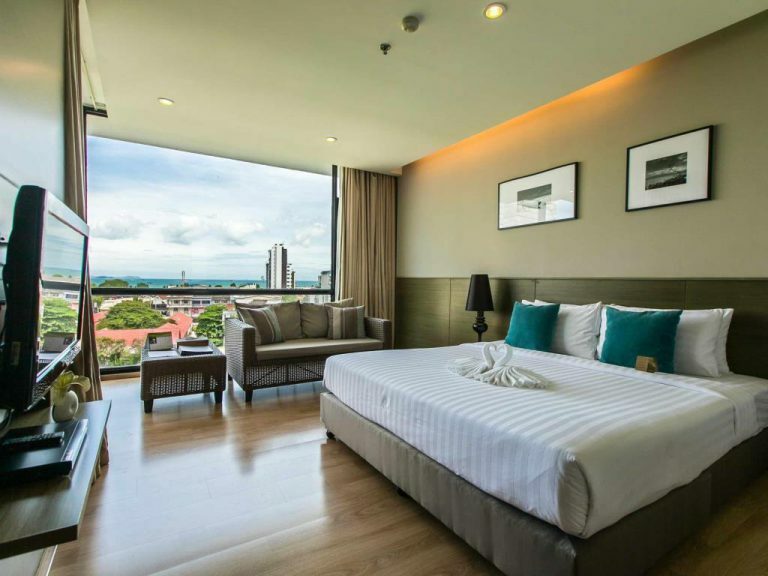 Check out our full guide on where to stay in Pattaya if you need more information. The North Pattaya area runs from Central Pattaya Road to North Pattaya Road. The farther north you head the further you get from the nightlife. The bright spot for nightlife in North Pattaya is Soi 6. There are a lot of good hotels just north of Central Pattaya Road. 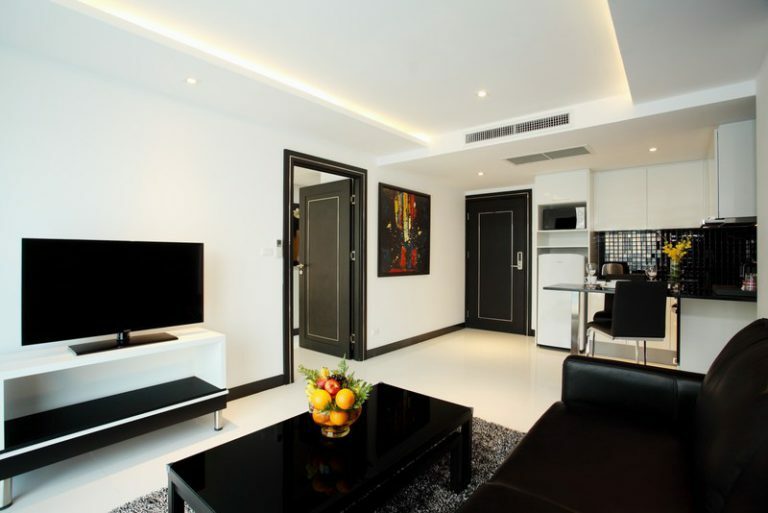 Very nice serviced apartments located in North Pattaya. Large rooms done up in a modern black and white design. The location is quiet, but a little walking is necessary to get to the main roads. 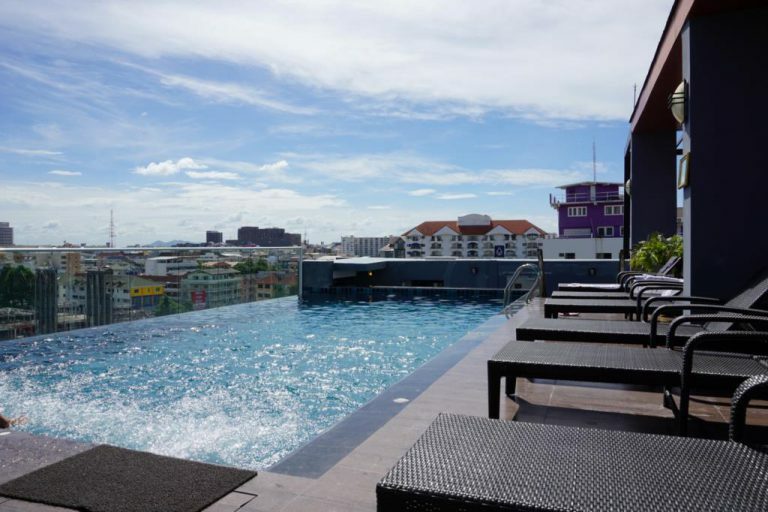 The hotel is near by to nightlife of Soi 6 and shopping at the Big C. The Amari has a large rooftop pool and a nice fitness center. 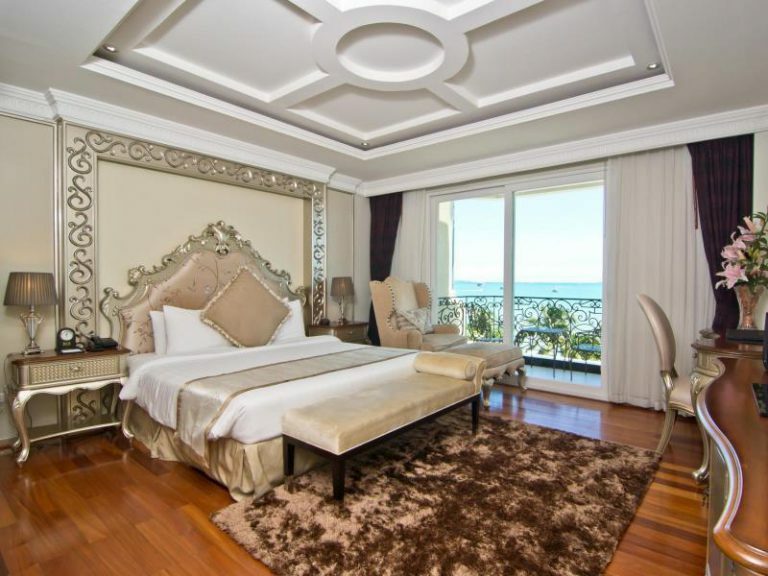 One of the nicest 5 star luxury hotels in Pattaya. Located in a quiet area in North Pattaya with great views and access to the beach. Everything is nicely put together at this hotel, as you would expect from a 5 star property. They have a very large resort style pool to lounge at during the day. A little far from the action, but night life seekers are not their core clientele. 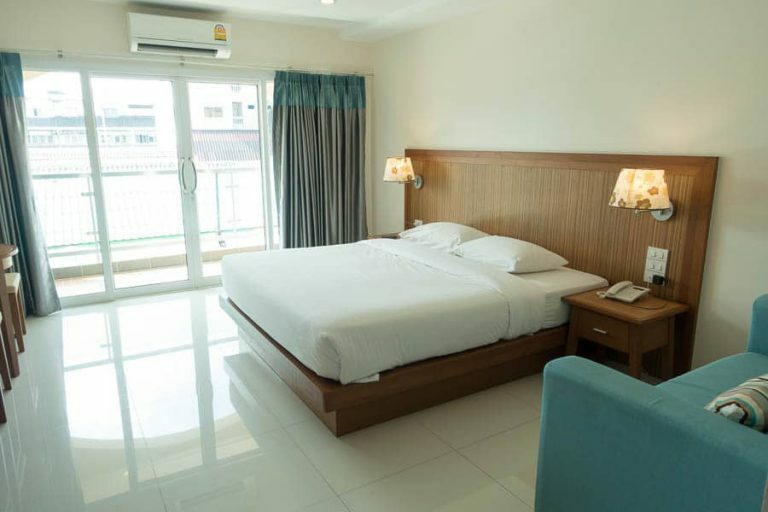 A reasonably priced hotel located just north of Central Pattaya road. The rooms are a bit bland looking, but are nice and decent sized. You get a full sized refrigerator in your room, which isn’t common at most hotels. The is both a pool and sauna on the roof. 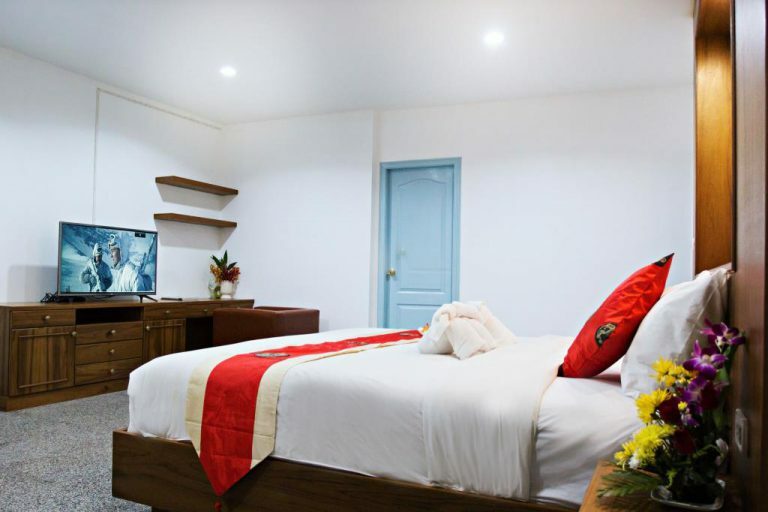 The hotel is located in a quiet street that is a short walk to either Second Road or Soi Buakhao. 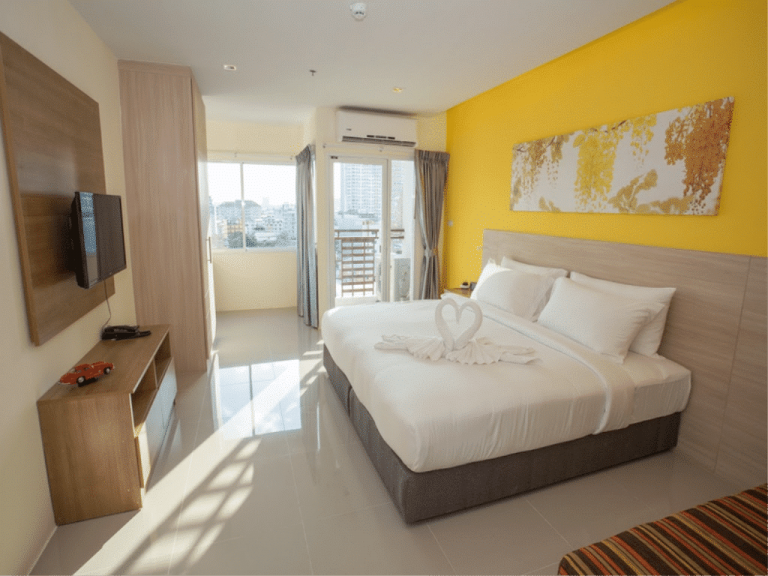 Very nice serviced apartments located in North Pattaya. 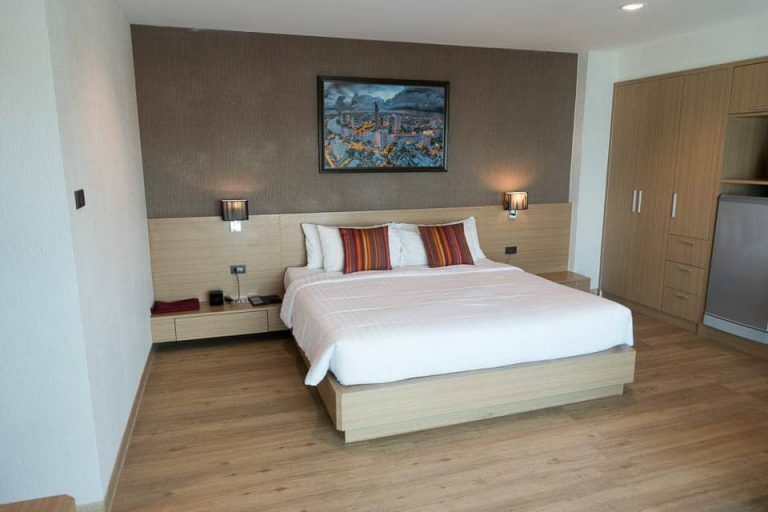 The rooms are attractive and well designed. All rooms come with kitchenette and full sized fridge. The hotel is near to Soi 6 and it is a decent walk from the hotel to Second Road. August Suites has nice but basic rooms that are getting a little dated. Still a good hotel for the money. Some of the hotels facilities include pool, hot tub, and sauna. 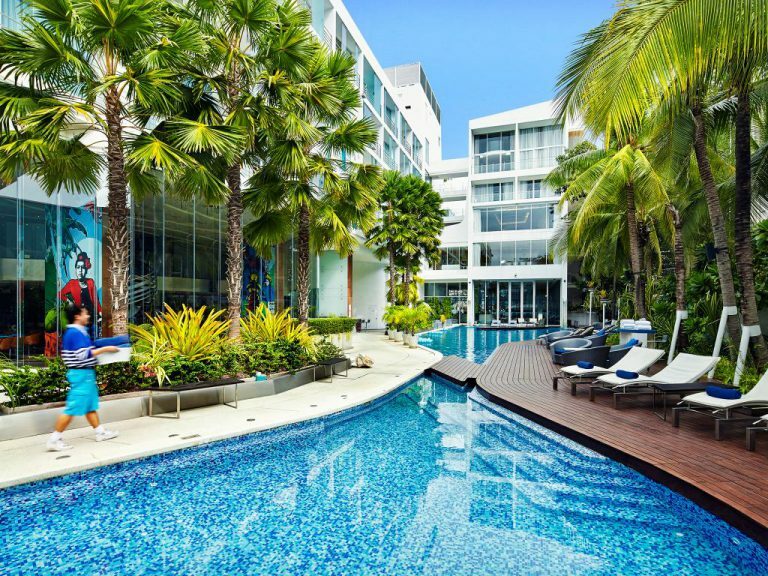 Not within walking distance of the action but its location on the north side of Central Pattaya Road, makes it a quick walk to either Second Road or Soi Buakhao. 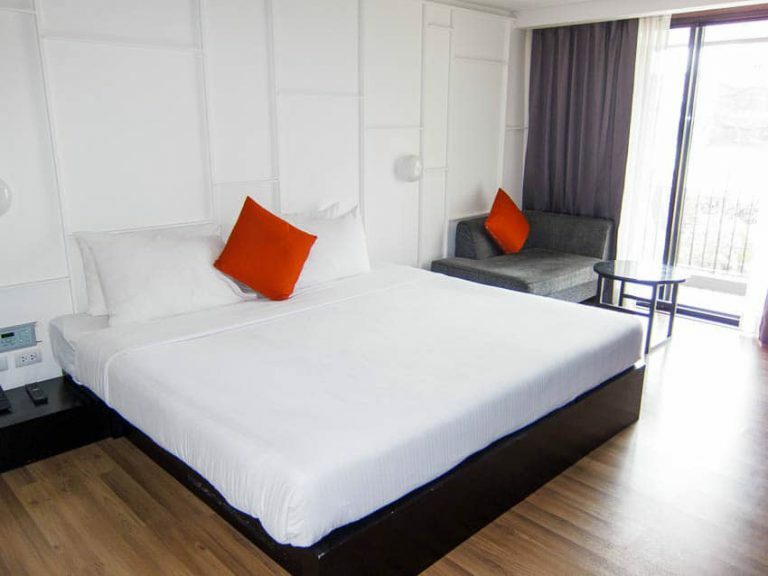 Nice and clean hotel very close to Soi 6. There is a large outdoor pool area with a swim up bar and sun loungers, a nice fitness center, and a couple restaurants onsite. It is a quick walk to Second Road and the naughty fun on Soi 6. Nice hotel with good rooms and a large outdoor pool area. Everything you’d expect from this international brand. 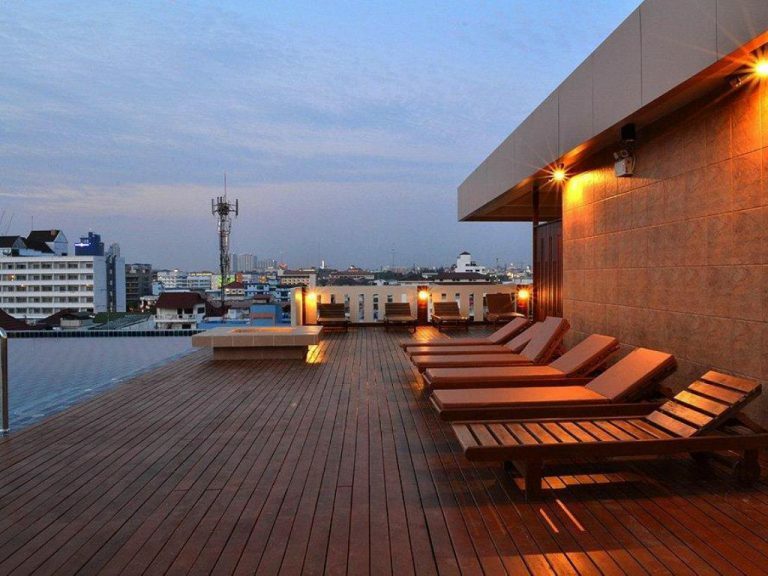 Great location on Beach Road with Soi 6 nearby and a short walk to Central Festival. And Yes, it is ladyboy friendly too. Easy access to the baht bus routes. To get you where you need to go. One of the nicest hotels in Pattaya. Spotless, nicely decorated rooms, many with an ocean view. 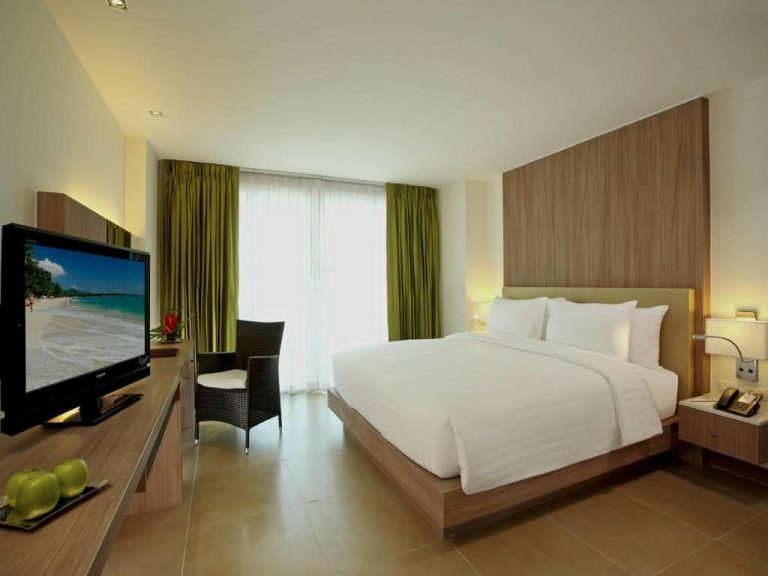 The Holiday Inn is located in the north of Pattaya which is more laid back and not surrounded by the bars. It’s a little far from the action but Soi 6 is within walking distance, and the hotels location on Beach Road makes it easy to grab a baht bus in that direction. 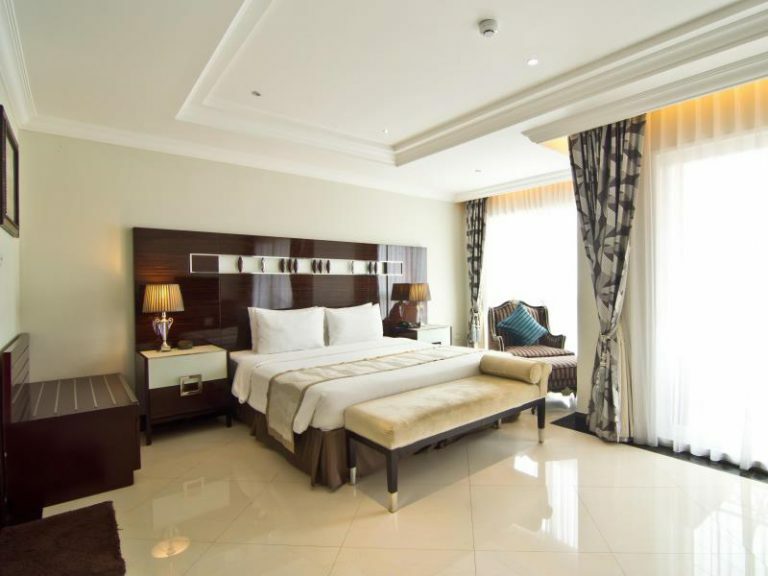 While the interior décor might not be to everyone’s taste, the KTK Regent Suite is a really nice hotel that has big rooms with kitchenettes, two pools (indoor and outdoor) and fitness center. The location is a 5 minute walk to Soi 6 and on a quiet Street. Another fine KTK property that has large rooms, comfortable beds, two pools, a putting green, and more. It’s next door to the KTK Regent Suite above which means it’s on the back roads making it a very quiet hotel. It’s a quick stroll to Soi 6 and their courtesy shuttle or the baht bus can bring you into Central Festival or other locations South. A newer hotel that is both clean and comfortable. Rooms are nice and the wifi is excellent. Good location on a quiet street. A short walk to either Soi Buakhao or Central Pattaya Road. 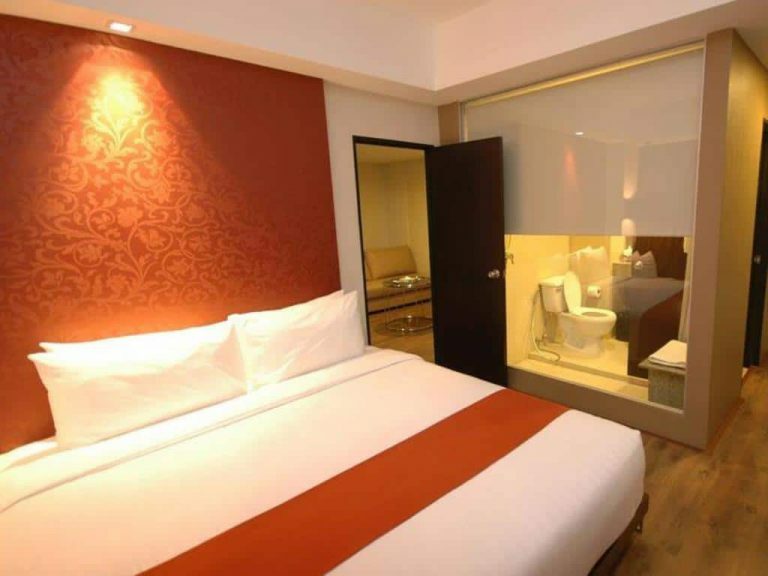 Easy access to the nightlife in Soi 6 or the LK Metro/Soi Buakhao area. Large spacious rooms at great value for the money. These are serviced apartments with kitchens and full sized refrigerators. At these prices you don’t get the facilities like a pool, gym, or room service. The location is a bit out of the way off 3rd Road. 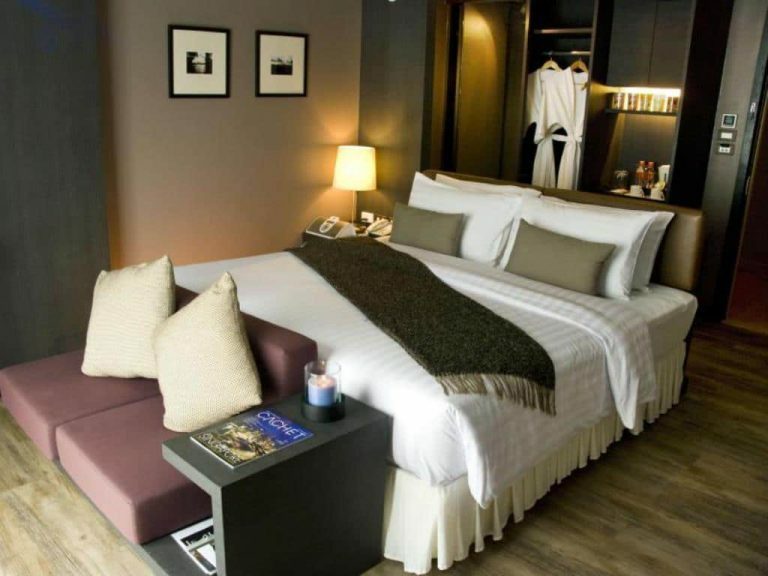 Small boutique hotel with rooms decorated to be light and airy. Some of the rooms have great views of either the city or the sea. The pool on the roof is small, but does have sun loungers to soak up some rays. The location on Soi 5 puts it right around the corner from the boisterous nightlife on Soi 6. 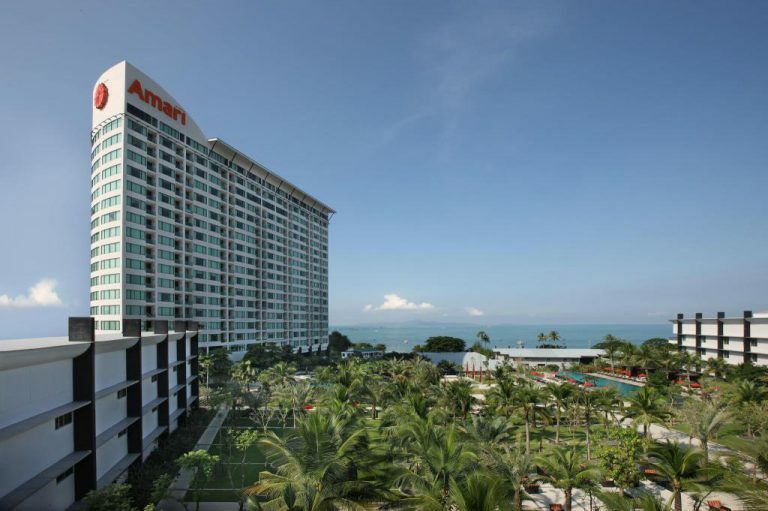 The Siam @ Siam is a fantastic hotel in North Pattaya. 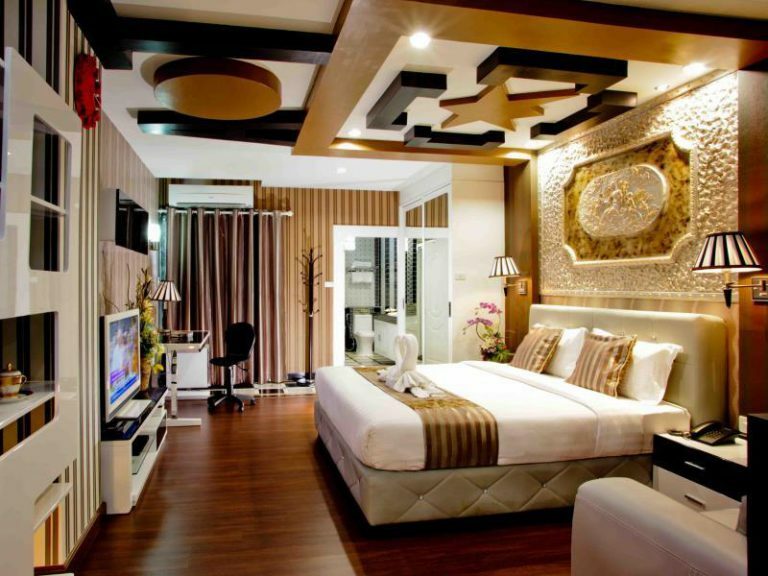 While it is a large hotel, the rooms have that boutique feel. 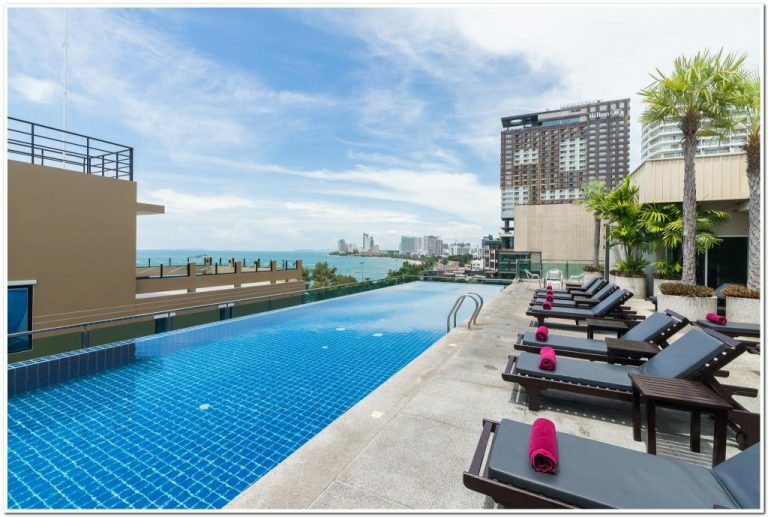 The infinity edge rooftop pool and their sky bar has one of the best views of Pattaya. The Central Pattaya area puts you right in the heart of Pattaya. It has a large selection of ladyboy friendly hotels and all the main ladyboy bars are in this area. This area extends from Central Pattaya Road to South Pattaya Road. 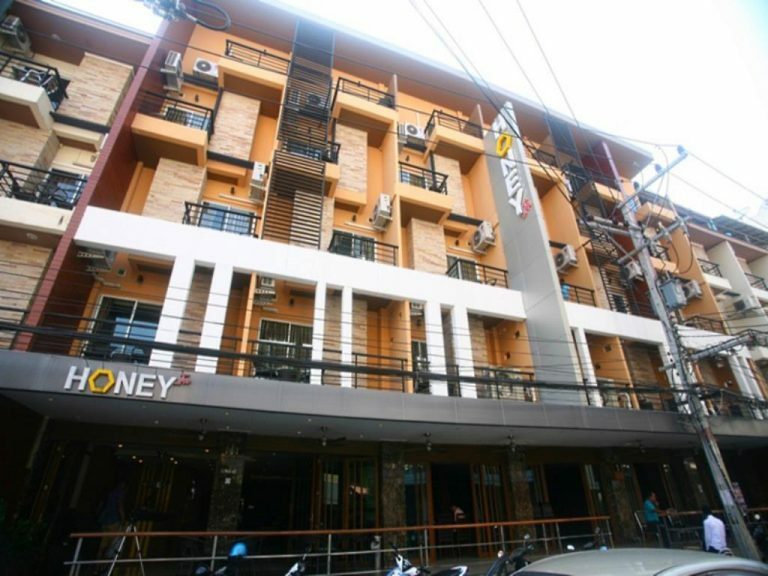 This hotel is centrally located on Soi Honey. The rooms are nice and modern but a bit on the small side. There is a large glass half wall that looks into the shower and bathroom from the sleeping are – shades can be drawn for privacy. A small pool is on the roof complete with sun loungers. 247 Boutique Hotel is in a great spot, close to all the action. 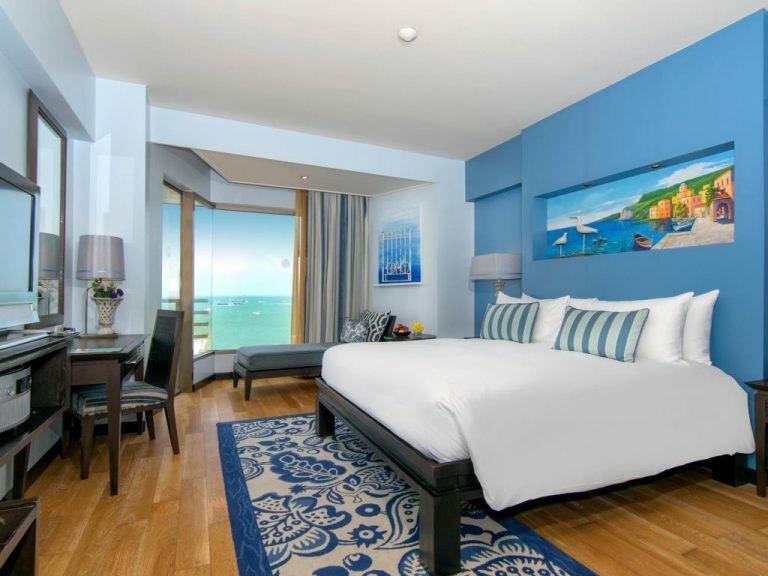 The Adelphi Pattaya was recently renovated and is in great shape. The rooms are good sized and nicely decorated. It is located on a quiet street in off Soi Buakhao in Central Pattaya. The hotel has a nice sized pool on the roof that has a bar and sun loungers. Everything is located a short walk or baht bus ride away. If you want to be in the center of things, few hotels beat the Areca Lodge. 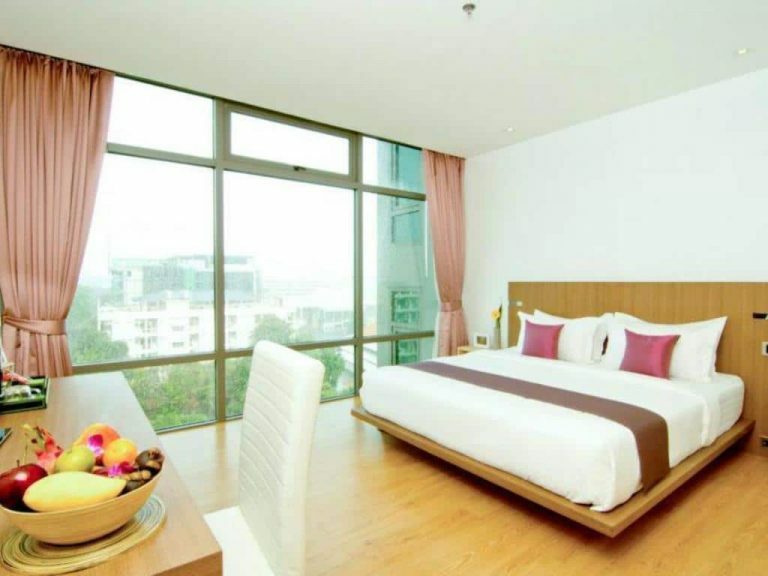 It’s location is a prime spot on Soi Diana, close to nightlife, shopping, and food. It’s a large hotel with two pools and a fitness center. The Pattaya Nightlife and plenty of ladyboy bars are right out your front door with bars on Soi Diana and LK Metro right up the street from the hotel. Decent hotel close to the beach and Walking Street. Good food, bars, and shopping all close by. Rated a 4 star hotel but furniture is getting a little worn and dated. 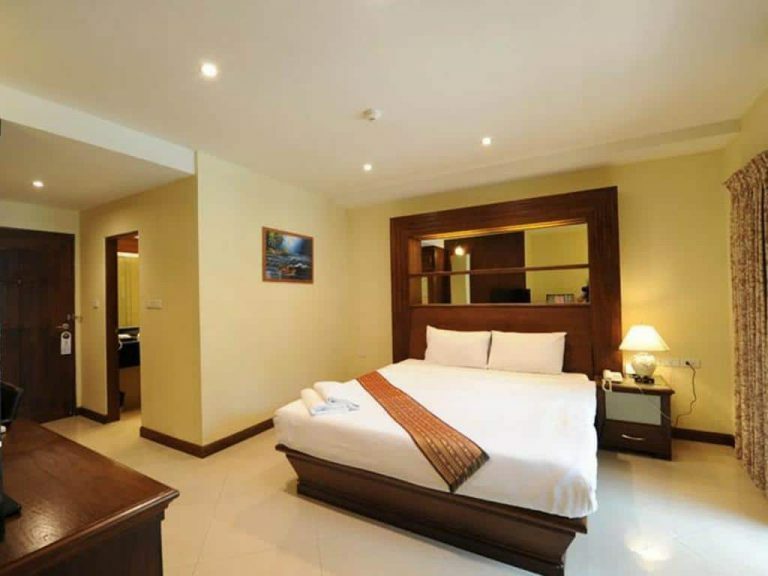 Location is a big selling point of the hotel – that is if you want to be near Walking Street or Beach Road. 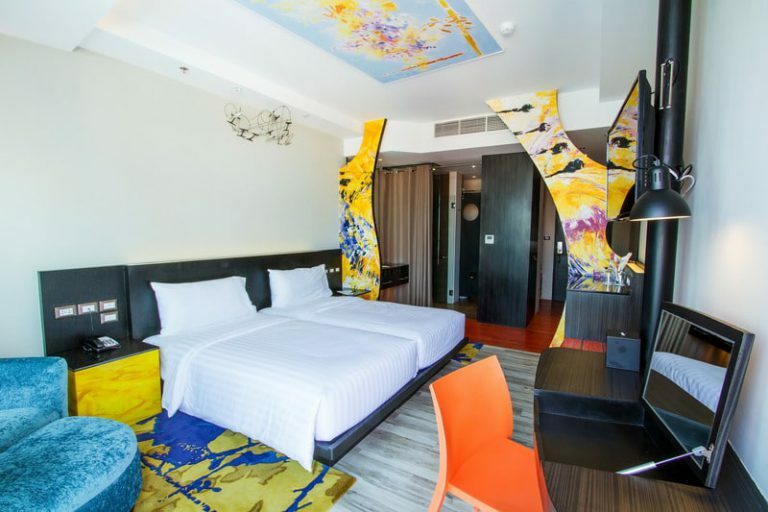 One of the truly boutique hotels in Pattaya and a 5 star experience. The room setup seems to have the luxury hedonist in mind. The Baraquda is in a prime spot on Second Road next to the Avenue shopping fall. It’s close to LK Metro, Walking Street, and plenty of restaurants and shopping. 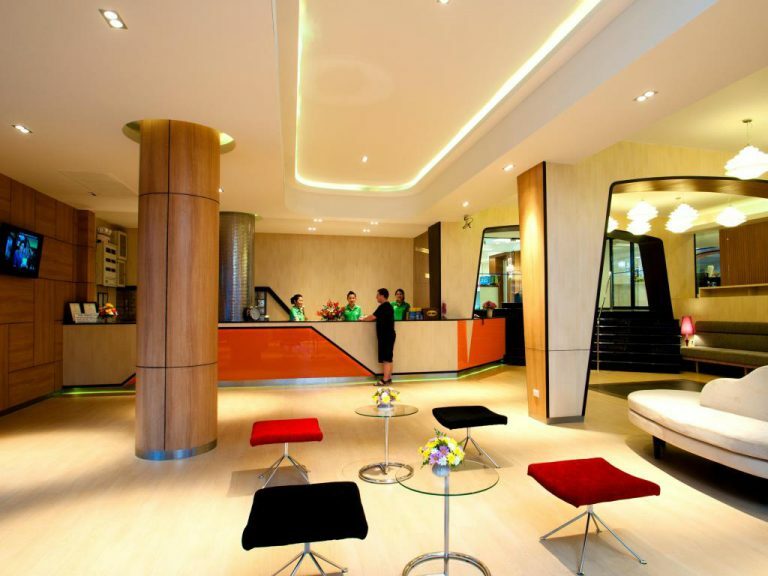 A nice 4-star hotel centrally located on Beach Road. The rooms are very nice and pleasantly decorated. 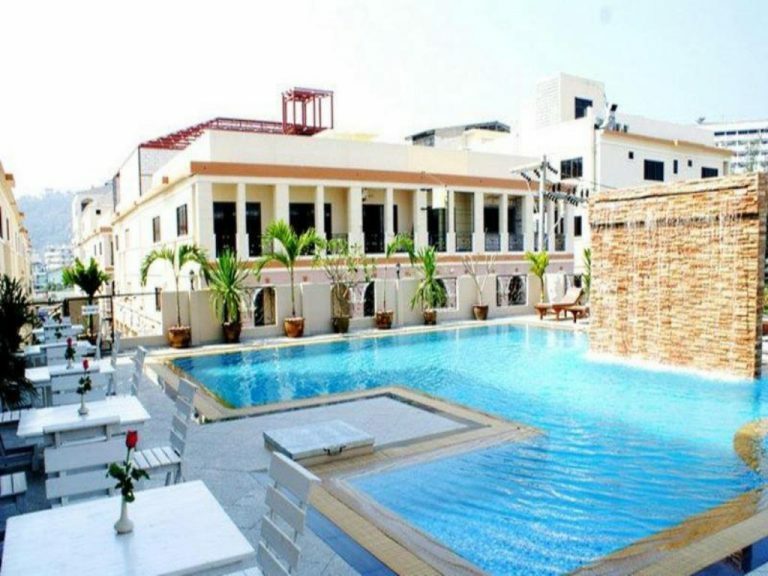 The hotel is setback from Beach Road, which gives you a quiet place to sleep or relax by their large pool. 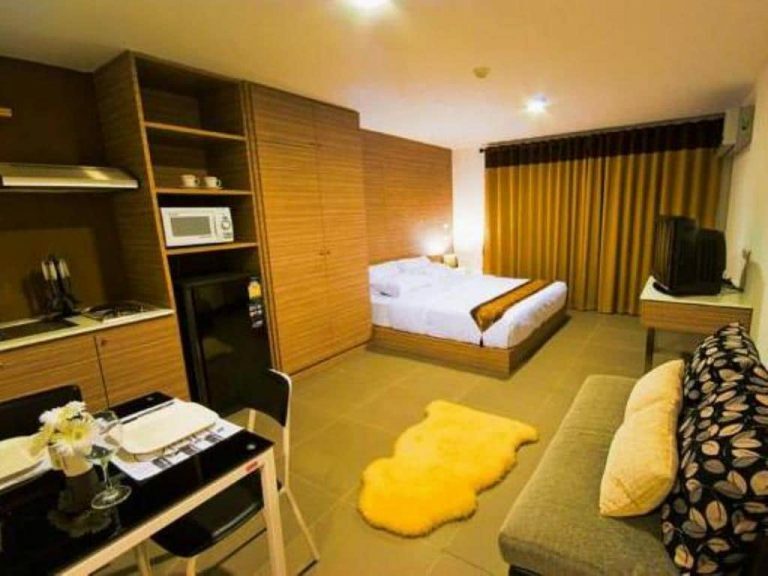 The location is excellent next to the Central Festival mall and nearby nightlife. Recently built, the D Hotel is in great shape and super clean and the price is good. This is a no-frills hotel where you get the basics, but they do the basics very well. It is located on a quiet street off of Soi Buakhao. It’s a bit of a walk to most ladyboy bars, but you can quickly grab a baht bus on Soi Buakhao. Another no-frills hotel that does the basics very well. Good pricing for the accommodations. Simple rooms but well-kept and maintained. Worth looking at if you want to stay around 1000 THB. The hotel is located in a quiet street, but is a good walk to Soi Buakhao to grab a baht bus. Staying at the Flipper House puts you right in the center of the action on Soi 7. This can be a good thing as the bars are right at your doorstep. This can be a bad thing as it is going to be a noisy stay. Nice rooftop pool, spotty wifi, no in-room safe, and the rooms themselves are looking a bit dated. But prices are usually cheap. Expect noise at night from the surrounding beer bars. It’s the price you pay to be that close to the bars. Newer hotel right in the middle of Soi Honey. Bars, massage shops, and restaurants right out the front door. Nice but simple rooms. A no-frills hotel that does a good job of providing the basics. The rooms at the back can be even nosier than those at the front since it backs up to Soi LK Metro. 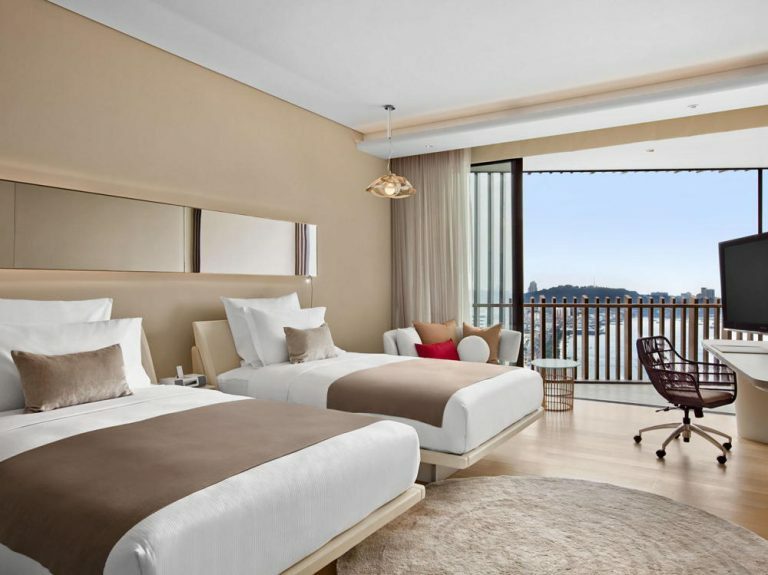 If you want five star luxury at one of the swankiest hotels in Pattaya then the Hilton is probably the place for you. Not much really needs to be said about this hotel it is top of the line. 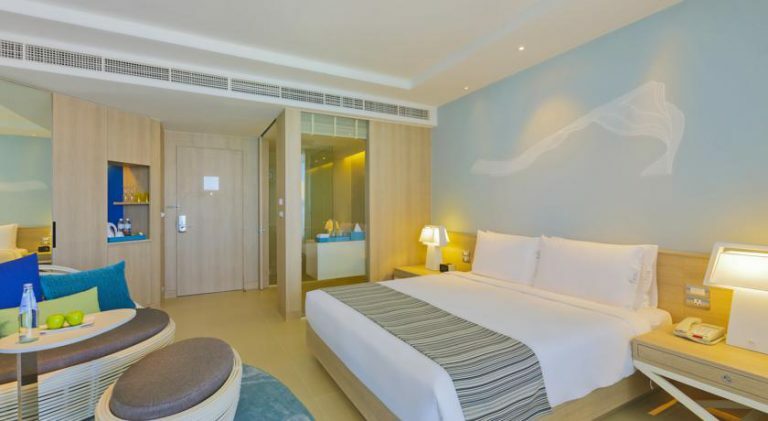 The Hilton is connected to the Central Festival shopping mall and is perfectly located to make getting anywhere in Pattaya a short journey. 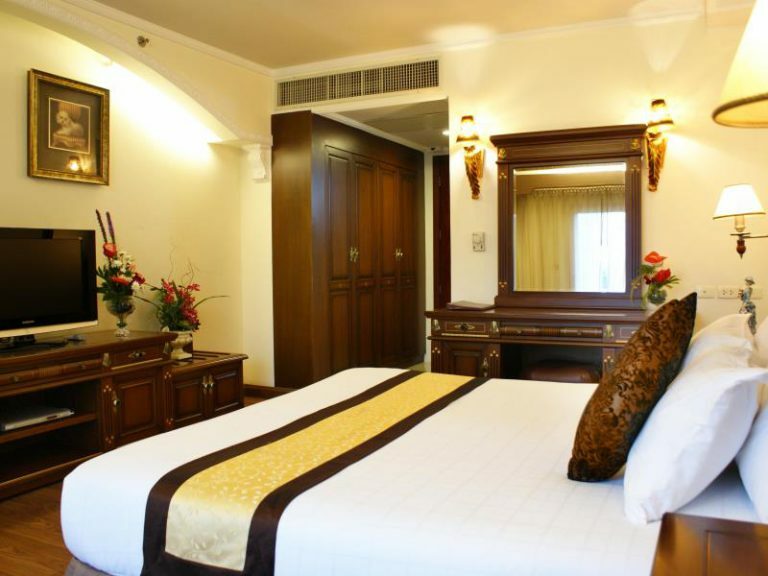 The LK Empress is a great hotel situated right on Beach Road, some rooms have a really nice view of the ocean. All the LK hotels are ladyboy friendly, and this is no exception. Several ladyboy bars are right around the corner on Soi 13/1, and the LK Metro Area is a short walk away. Great location. This hotel is at the center of things, with plenty of Ladyboy Bars in the Soi Buakhao and LK Metro area. A lot of good food and dining near by as well. The hotel itself is a bit dated and could use an upgrade, but still a very nice place to stay. Some rooms can be noisy thanks to the close proximity of the bars on LK Metro. Decent hotel in a great location. Used to be one of the best ladyboy friendly hotels in Pattaya, but it is getting a bit rundown. No longer do they have a restaurant on site. But it’s not bad, there are certainly worse places to stay in Pattaya. This LK has a great location on Soi Diana not far from the bars, good food, and shopping. Used to be named the LK Renaissance. The Royal Wing is located on a quiet Soi off of Soi Buakhao, away from the noise and bustle. 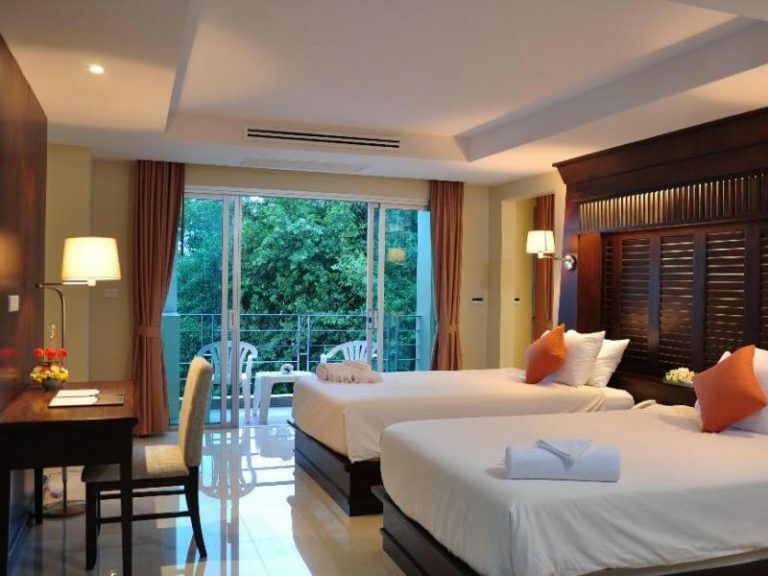 The rooms are large and basic, but clean and well maintained. There is a small rooftop pool that is a nice place to relax. 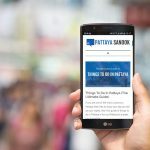 Catching a baht bus on Soi Buakhao you will quickly get to most of the nightlife, bar, and dining areas – if walking isn’t your thing. The Page 10 is a very popular ladyboy friendly hotel. 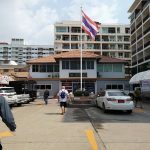 It has a great location on Soi 10 which puts everything from the beach to Central Festival to LK Metro in walking distance. The rooms are done in a boutique style and the Deluxe rooms have a huge walk in show that can fit a party of five, and probably has at some point. Bright and comfortable rooms with a balcony. Good central and quiet location. The rooftop pool is small and not good if you want to lounge at the pool all day. The larger apartment style rooms come with a kitchen. Wifi can be spotty in some areas. 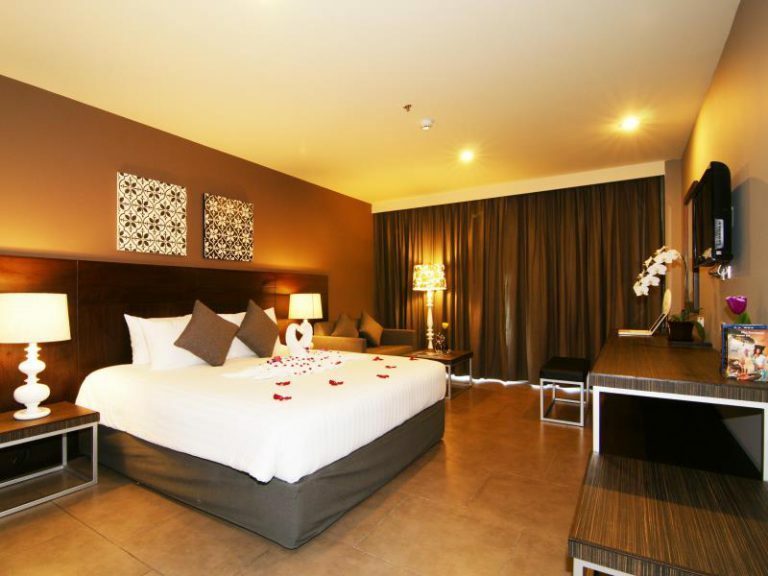 The remodeled rooms are very nice and have a modern style. If you can get one with an ocean view even better. 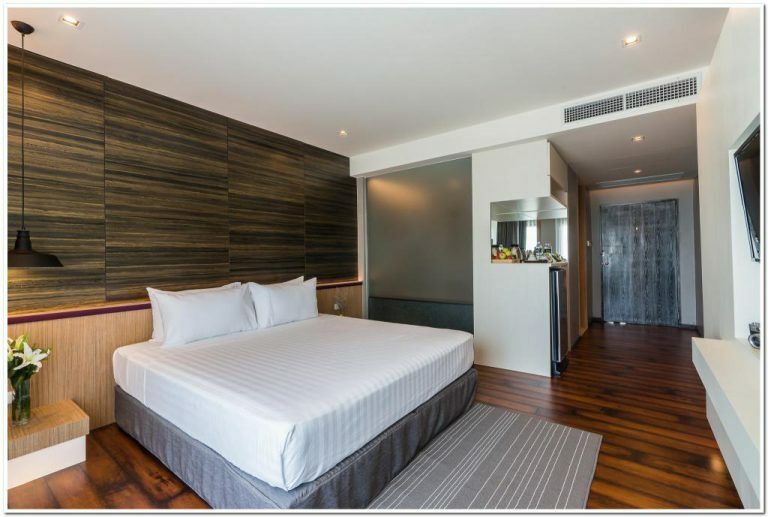 Good location on Soi 13/2 puts in walking distance of both the beach and nightlife venues. Friendly hotel staff and this hotel always gets good reviews. The original See Me Spring hotel on Soi 10. 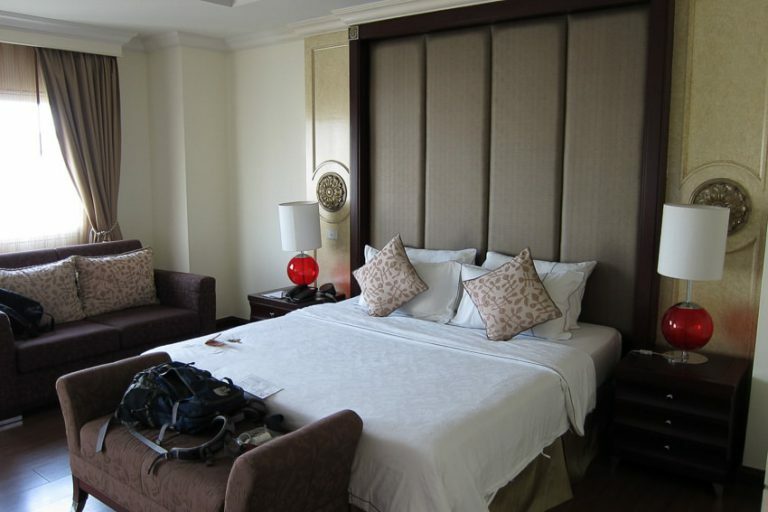 Rooms are huge and very nice with up to date furnishings and decorations. The roof top pool is great, but there are limited sun loungers so best to get there early. Great location near the shopping malls, bars, and the beach. Nice modern rooms with good décor. 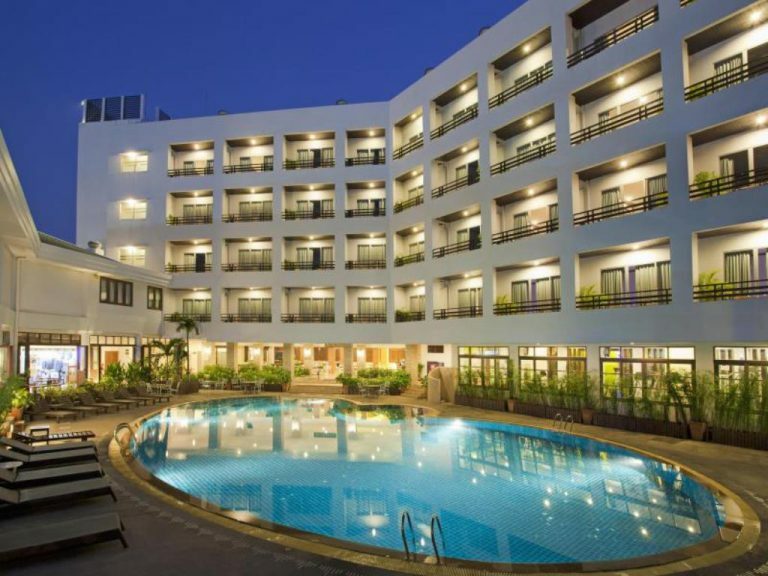 Great location on Soi 10 close to the beach, shopping, and nightlife. This end of the street is relatively quiet for a good night’s sleep. Nice pool on the roof, complete with bar and it also has a fitness center for those wanting to get in some exercise. The newest Sea Me Spring Hotel on Soi 10. Great location and a fine hotel. Rooms are large, modern, and comfortable. Small rooftop pool, but overall a great place to stay. The Tree’s location just like it’s sister hotels is in a fine spot for nightlife, dining, and shopping. The Stay Hotel is a sister property to the ever popular Page 10. 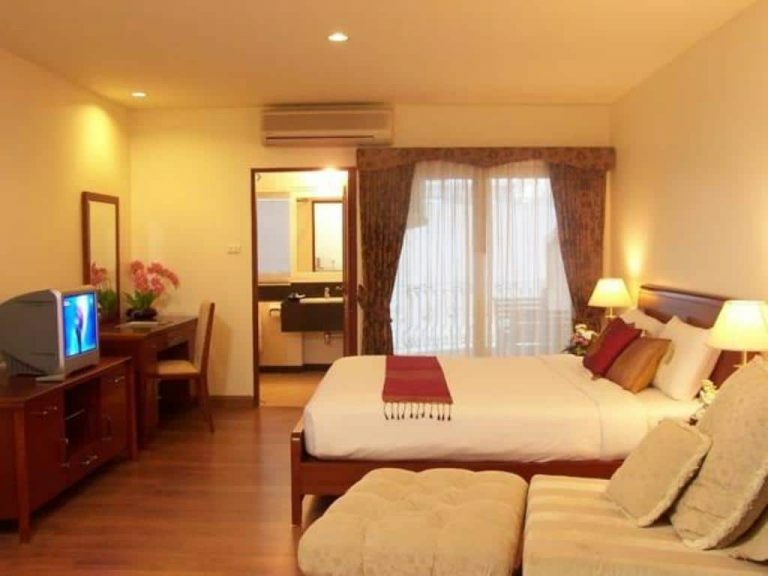 Located midway down Soi 10, the hotel is in a great location and nightlife, food & drink, and shopping. The Stay is done in boutique style and has a nice rooftop pool. Decent hotel in a great location. The hotel and rooms are nice and clean. The service staff is helpful and friendly. The main highlight is it’s location on Soi 13. It puts in Walking distance of all the main ladyboy bars, from Walking Street to Soi Buakhao. A basic hotel that does a good job. South Pattaya is a large area that extends from South Pattaya Road until it reaches Jomtien. Hotels here can be a little out of the way for those looking to spend their time out enjoying the nightlife. Walking Street is located in this section of Pattaya. 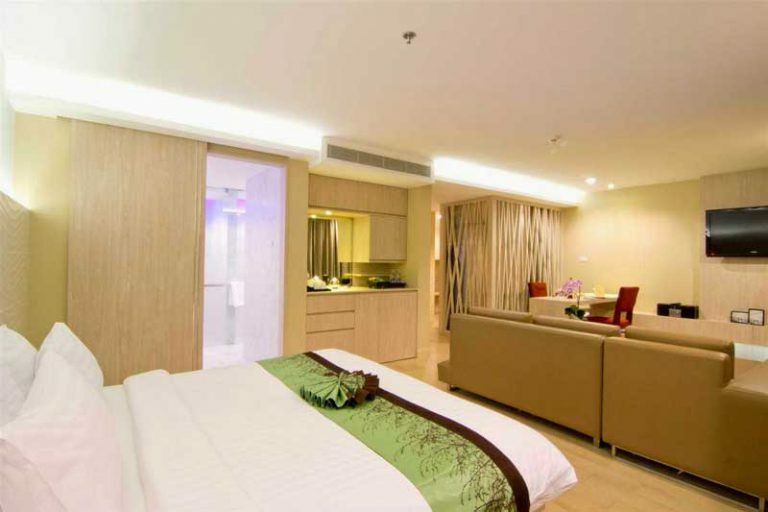 A clean hotel with big rooms. Things are looking a bit dated and could use a refresh, but still in good shape. The staff are friendly and helpful. The hotel is out of the way, which means it is quiet. It also means it isn’t close to anything. Plan on taking a mototaxi – a lot. 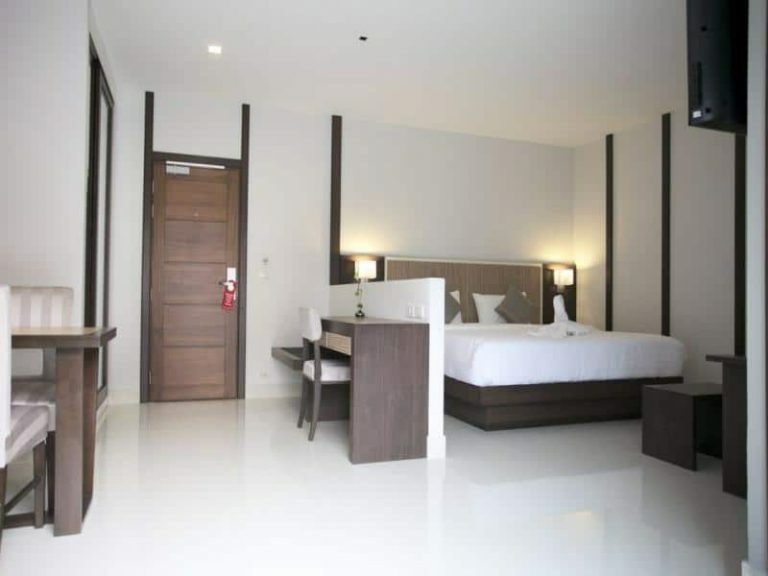 Large rooms are the highlight of the LK Pavillion in South Pattaya. Its location off 3rd Road can be off putting. The rooms are dated and worn. The rooms are large, modern, and comfortable. A nice bar and restaurant and a relaxing pool area. Some rooms can be noisy at night since it is next to a busy road. Its location in South Pattaya put it about a 10 minute walk to Walking Street. 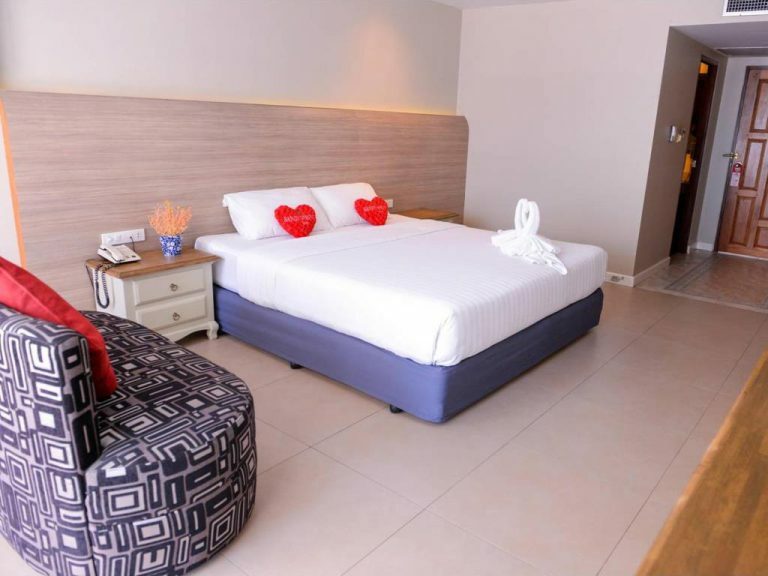 Big rooms in the heart of South Pattaya. While Mosaik Apartments usually caters to long stay guests, they also rent out their apartments for short term guests as well. This isn’t a full-service hotel, but don’t let the 2 Star rating fool you. You are getting your own apartment for your stay. They are very popular with those who want a nice place but do not need all the facilities or services that a full hotel provides.